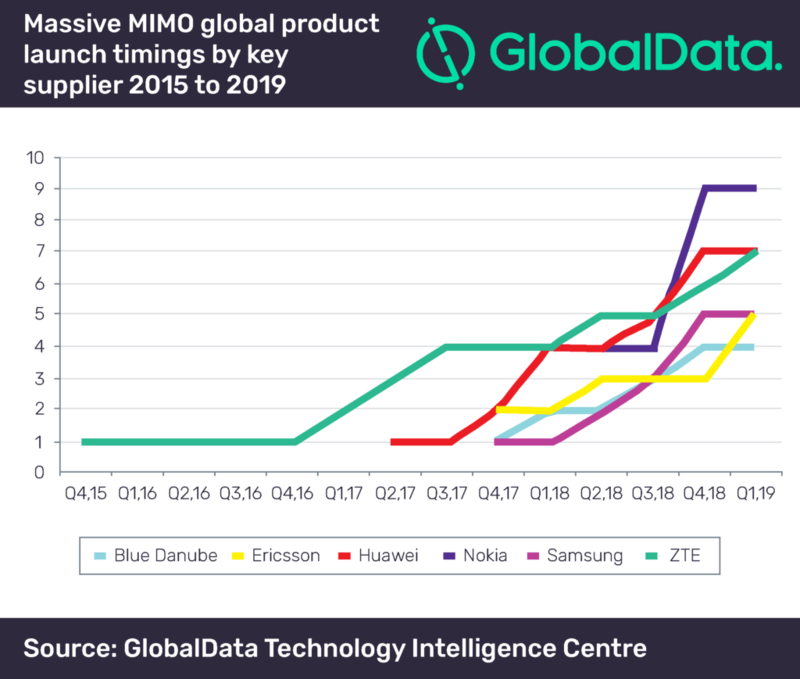 The introduction of the first 5G mobile handsets later this year, as well as the further evolution of 5G radio and core specifications, will drive the global adoption of 5G from 2020 says GlobalData, a leading data and analytics company. The company’s latest report, ‘Review of 5G Technology Readiness and Commercialization’ reveals that mobile 5G services will be available in APAC, Europe and the Middle East from 2019 and in Latin America from 2021, with the first commercial launches taking place later this year in South Korea, Japan, China, Australia, Hong Kong, Taiwan, Finland and Sweden. Early demos of 5G phones have offered performance essentially on par with high-end 4G phones, with some modest improvement to speed, battery life, and processing power. However, major breakthroughs such as the introduction of a 5G phone from Apple and new 5G- optimized silicon from Qualcomm are not likely to materialize until 2020. One of the primary requirements for 5G radio access networks (RANs) is increased mobile broadband speeds. This is in part a response to ever-rising mobile network traffic levels driven by consumers’ increasing appetites for data. To increase network performance in 5G, operators will deploy new radio equipment that includes a larger number of antenna arrays. Whereas today’s networks typically include two transceivers and two receivers (or four of each), operators will migrate some radios to massive MIMO arrays of, for example, 32 or 64 arrays. These advanced radios will be able to improve network performance and efficiency by focusing beams on users rather than scattering them indiscriminately. AT&T became the first mobile 5G operator to go live, introducing service to 12 markets by the end of 2018, using a 5G puck device. While a number of APAC operators are still in the midst of expanding 4G/LTE services, many regulators are actively working on the redistribution and allocation of spectrum suitable for the future launch of 5G services. 5G Fixed-wireless access (5G FWA) is emerging as one of the first commercial 5G use cases. Some major operators, such as Australia’s Optus, are planning to offer 5G FWA before or at the same time as their mobile 5G service introductions in order to begin monetizing the technology right away. Verizon, the biggest proponent of 5G FWA, has built out four U.S. markets using mmWave spectrum, but because of these challenges, has declined to specify when it will reach its stated goal of making the service available to 30 million households.